Sea 2 Summit is a small outdoor company which specalises in offering you personalised coaching courses principally in Rock Climbing, Kayaking and Mountain Walking. It doesn’t matter if you are a novice or a seasoned veteran we have a venue to excite you and a skill you’ve yet to learn. We employ top qualified instructors who are first-class, dedicated and passionate about their chosen outdoor pursuit. When we aren’t working, we are out there climbing or kayaking, looking for an adventure. All climbing instructors are members of AMI (Association of Mounatineering Instructors) and kayaking instructors members of either the BCU (British Canoe Union) or WCA (Welsh Canoe Union). Gareth Davies – A keen summer and winter climber, he holds the highest UK climbing qualification (MIC) that recognises his ability to safely operate in the mountains and on the cliffs, both in summer and winter, whilst providing professional and clear instruction. He is a Level 4 kayak coach, enabling him to operate on all grades of water, while providing precise and direct coaching and Level 3 sea kayak coach plus 5 star leadership. The outdoors has been central to Gareth, all his life. He has climbed extensively across the UK. His passion has also taken him abroad too, exploring the European Alps, Rockies, Himalaya, Andes and Big Wall climbing in Yosemite. Similarly in kayaking he has paddled up to grade 5 across the country including out in the Alps, Slovenia, Ecuador, Peru, Turkey and India and has been sea kayaking in Canada, Spain and Greece as well as up and down the UK. With a thorough knowledge of the crags and rivers of North Wales, a patient understanding of how people learn and an enthusiasm to be in the outdoors all his courses will exceed your expectations. Richard has worked in outdoor centres for over 12 years. Through his career he has gained a range of qualifications including his Winter Mountain Leader, so that he can guide groups up any UK mountain, in all seasons and Level 4 coach for kayak and canoe enabling him to coach in all conditions on the sea and rivers. The outdoors is his passion, with a wealth of knowledge and essential experience, built up through leading kayak expeditions to most continents, climbing in the Alps, Himalaya, USA and South America. This enthusiasm easily spills out during sessions, captivating and motivating groups. Simon Hick Ice ClimbingA mountaineer and rock climber for over 20 years Simon has travelled the world pursuing his passion. This includes recent big wall climbs in Yosemite and Utah in the USA. During the last 10 years, he has been passing on his vast outdoor experience, enabling others to enjoy new adventures too. 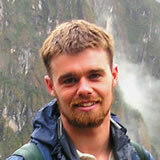 He has instructed in the Lake District and Peak District and now lives and works in North Wales. Past employers include the National Mountain Centre, Plas-y-Brenin and running mountain courses for the Services. 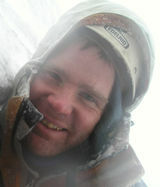 Qualified MIA (mountain instructor award), he is a knowledgeable instructor with a wise head. He has time for everyone and enthusiasm and unrivalled passion for all areas of the sport. Kathryn Bromfield MIA Mountain Instructor AwardAn enthusiastic and committed climber, Kathryn lives for her mountaineering. She has rock climbed throughout the UK spending her summers in Wales and her winters ice climbing in Scotland. She has been on big walling trips to Yosemite and regular trips to all areas of the Alps, which includes an ascent of the North Face of the Eiger in late 2007. Kathryn started her outdoor career at the National Mountain Centre, Plas-y-Brenin, and since then freelanced for a number of respected centres both in Wales and Scotland. 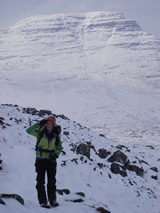 She holds the MIC (highest UK climbing qualification) and is known for her patient teaching. Whatever your current ability is walking or climbing, she will take you to the next level.